Simple lever actuated terminal clamper. Optional wheel with slots available. Crimp process setup validation in most wire harness factories requires a pull test. The insulation crimp wings are opened. The wire is pulled from the terminal until failure. The peak force is displayed. A minimum pull force requirement must be met depending on the wire size. Low pull force can be an indicator of under compressed crimps. 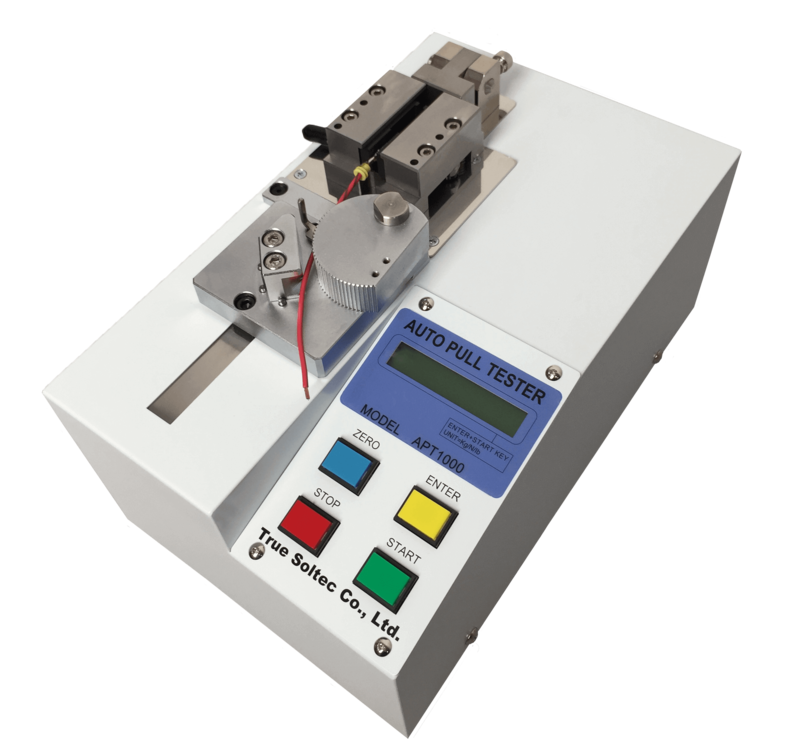 APT1000 can stand alone or can be integrated with RTMS (cutting machine network system) or MPN (manual Press network system) as part of setup validation. APT 1000 kits are available for pulling seals, pulling ultrasonic splices and calibrating wire tie guns.